This is the map of the HAWKS. 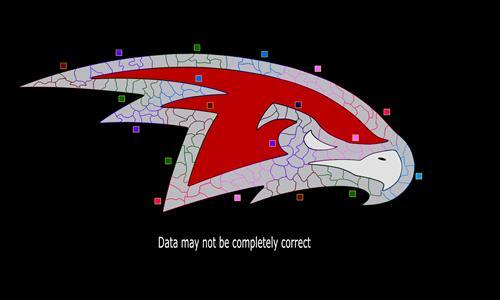 It follows the HAWKS Logo, created by Scotty. A very special thanks to (ง︡'-'︠)ง let's fight!! for helping (95%) redraw the map because my drawing isn't that good. He also motivated me to keep going, otherwise this wouldn't be here for another 4-5 years XD. A fun map to play on. Very competitive especially for HAWKS. Review by Nathan on 2/13/2017. This map looks super cool and its territory names are entertaining (and educational). That being said, treat it as a novelty map. Playing on it is an experience in extended linearity and, as such, takes on the long, slogging feeling of inevitability long before the game actually nears an end. I like Hawks, Seahawks are my favorite, Blue Tailed ones are nice but the ones i like sometimes are green.